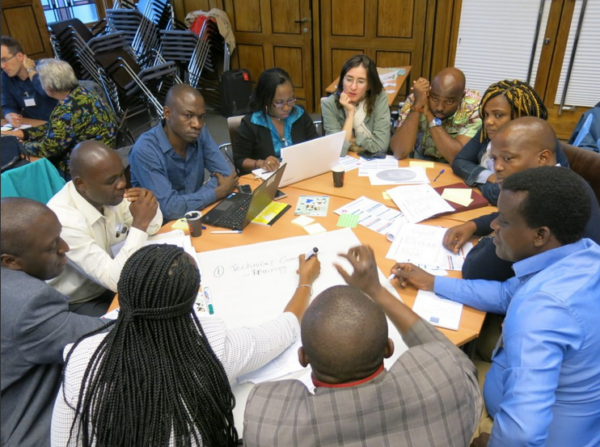 When it comes to reproductive and sexual health policies and access, it’s easy to focus just on what is happening within our own communities and even countries. Here in the US, the past few months have seen some horrendous and frankly deeply disturbing rollbacks of basic access to important healthcare resources such as teen pregnancy prevention programs and mandated birth control coverage through the Affordable Care Act. Those are just the latest in a string of policies coming from the Trump administration’s Health & Human Services department which is now headed up by anti-choice fanatics who care more about religious and moral imposition than data-driven policies that are proven to be effective. Looking further afield, the situation is even worse in a number of areas, especially in the developing world. 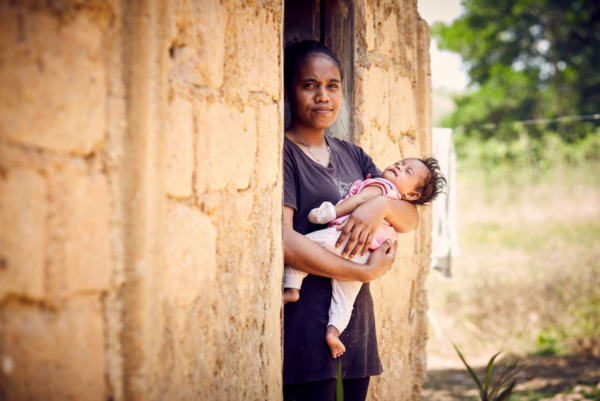 Similar to the way reproductive healthcare advocates are bring the conversation around economic stability to the abortion conversation here in the United States, the UNFPA has just released a new study outlining how a woman’s ability to access crucial sexual and reproductive healthcare is directly tied to the potential to escape poverty. 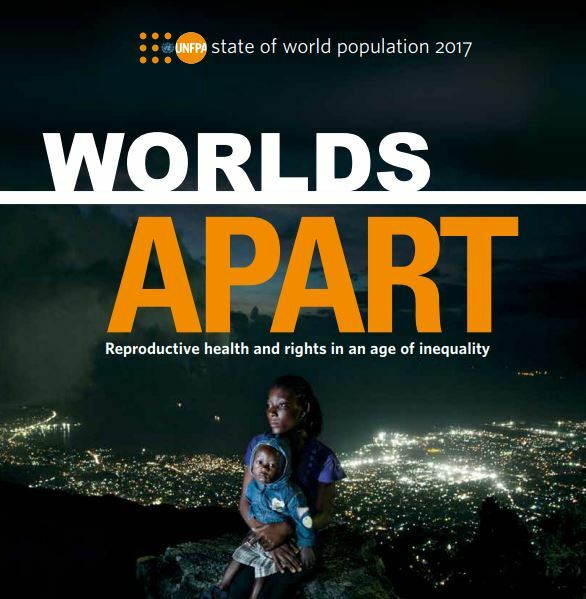 Titled ‘Worlds Apart: Reproductive Health and Rights in an age of Inequality’, the study underscores how the problem is cyclical and compounded right from early on in a girl’s life. If she is not able to get an education and have basic healthcare needs met, she is more likely to marry earlier, have children early, experience health problems, and not be financially independent or stable due to lack of qualifications. If a woman lives in poverty without the opportunity to escape through job skills, education and healthcare access, her children are also more likely to experience the same outcomes. The study points out that economic disparity is an umbrella issue, as many other social, racial, political and institutional dimensions feed on each other, giving these disparities a ripple effect throughout families and communities. “Two critical dimensions are gender inequality, and inequalities in realizing sexual and reproductive health and rights; the latter, in particular, still receives inadequate attention. Neither explains the totality of inequality in the world today, but both are essential pieces that demand much more action. Without such action, many women and girls will remain caught in a vicious cycle of poverty, diminished capabilities, unfulfilled human rights and unrealized potential—especially in developing countries, where gaps are widest,” says the intro to the study. The ability to access the full range of sexual and reproductive healthcare, as well as determine when and how to have a family, is considered a universal human right. That is what 179 governments agreed at the International Conference on Population and Development in 1994. Yet within most developing countries, women in the poorest 20 per cent of the population have, for example, the least access to sexual and reproductive health services, including contraception, while women at the top of the wealth scale generally have access to a fuller range of high-quality services. When women are disadvantaged from an early stage in life, it means they are less likely to enter the workforce, and less likely to be represented by policymakers. 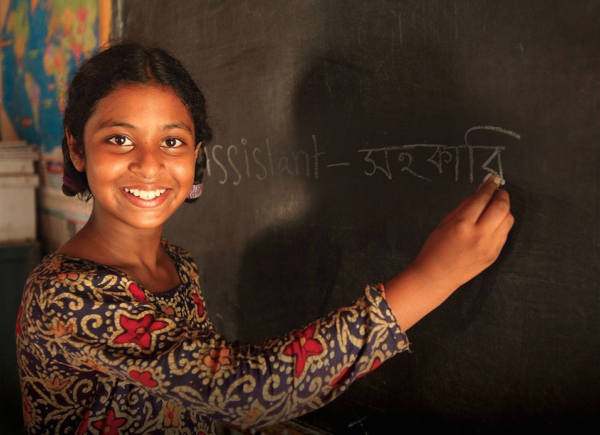 Education is key, as the study shows that for every additional year of school, not to mention higher education such as vocational college or university, means a girl is more likely to earn a better salary, and decrease her risk of maternal healthcare problems. “This has long-term implications for labor-force participation and lifetime earnings. Equal access to quality education not only addresses absolute deprivation by providing individuals with a pathway out of poverty, but also increases overall national productivity and innovation, by generating far greater opportunity for all people to develop their skills, find their niche and define their future areas of work,” said the study. Today, 95% of the world’s births to adolescents occur in developing countries. That must change. “According to the Guttmacher Institute, each year in developing countries, there are 89 million unintended pregnancies, 48 million abortions, 10 million miscarriages and 1 million stillbirths. 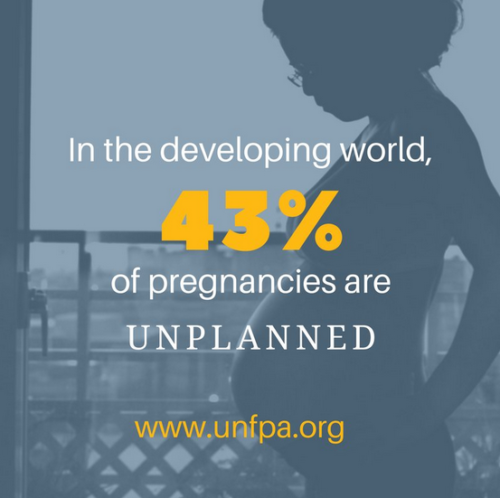 An estimated 214 million women in developing countries have an unmet demand for family planning,” says the study. When it comes to reproductive and sexual healthcare policies having women represented among lawmakers as well as within major health institutions is going to make a world of difference. The recent inaugural Women Leaders in Global Health conference held at Stanford University discussed ways to ensure we see more women in leadership positions. “At least 75% of the health workforce are female, and looking around this room…there is no shortage of talented women in the pipeline. But the picture looks different at the top,” Michele Barry, MD, director of the Stanford Center for Innovation in Global Health and senior associate dean for global health at Stanford University in California, told the audience. “With every step up the ladder, the proportion of women shrinks. The World Health Assembly is 68% men; 70% of health leaders are men; and, at least in US medical schools and public health schools and global health institutes, men predominantly hold the top positions, despite the fact that global health has become increasingly feminized. In Fortune 500 countries around the world, 26 out of 27 health center [chief executive officers] are men. How can we succeed when half of the talent sits on the bench, and how can we have a robust dialogue?” she asked. The leaders present at the conference stated that gender matters when it comes to global health due to certain issues faced by women that were outlined in the UNFPA study – childbirth, reproductive disorders, cervical cancer, violence, and poverty. Every 2 minutes a woman dies in childbirth, and 60% of these deaths are preventable. Dr. Afaf Meleis, PhD, dean of nursing emeritus, University of Pennsylvania, Philadelphia, spoke about the US not being immune to these problems, considering we have the highest maternal mortality rate in the developed world. However female genital mutilation is still common in some parts of the world, and many women die from abortions. Almost all abortion deaths are due to unsafe abortions, and not the procedure itself, she added. The recent announcement of the new World Health Organization leadership team being made up of more than 60% women reiterated how certain organizations are realizing the importance of having women’s voices at the table when it comes to healthcare initiatives, studies and policies. The UNFPA study concluded with action items that are in line with the UN’s 17 Sustainable Development Goals agenda. Noting how the intersection of health, education and gender must be addressed in order to truly alleviate global poverty, they have listed a number of ways each person can do their part to break down barriers that stop women from reaching their full potential. “Intersecting forms of inequality may have huge consequences for societies as a whole, with large numbers of women suffering ill health or being unable to decide whether, when or how often to become pregnant, and thus lacking the power to enter the paid labour force and realize their full potential. The damaging effects may span a lifetime for individuals and reach into the next generation,” the study says. You can read an overview of the ‘Worlds Apart’ study by clicking here, and downloading the full report on the website.